It’s 2001. Seventeen-year-old guitarist Fallon Bowman is on the road in support of Spit, the hit debut album by her band, Kittie. The group’s on rotation on MTV, hitting stages at Ozzfest and beyond and enjoying the perks that come from being a popular act on tour. But just as things are picking up substantial steam for the group, Bowman is looking to bail. Although years of hindsight have ultimately helped Bowman find peace with her decision to leave Kittie, she spent the initial months following her departure “horribly depressed” and rarely stepping out of her house. Eventually, Bowman found her way back. In addition to filling in on guitar for a tour with the Canadian band Tuuli (featuring future Eagles of Death Metal bassist Jennie Vee), she launched a new project called Amphibious Assault. Featuring contributions from Spit/Oracle-era Kittie bassist Talena Atfield, Amphibious Assault’s Industrial-driven sound can be heard on 2003’s District Six and 2007’s On Better Days And Sin-Eating. Shortly before the release of District Six, a chat with longtime friend Jason Miller (Godhead) unexpectedly started a new and exciting chapter in Bowman’s musical story. That friend was veteran Post-Punk/Industrial drummer and Pigface bandleader Martin Atkins. Before long, she was in the studio recording lead vocals to Pigface’s cover of the Delts 5 classic “Mind Your Own Business.” The song later became the opener on Pigface’s 2003 album, Easy Listening…For Difficult Fuckheads. In November 2016, Bowman flew to Chicago from her then-home in Demark to join Atkins and 30-plus other Pigface members for special 25th anniversary shows at Reggies and the House of Blues. These days, the easiest way to catch Bowman on stage is through her work as an actress in various stage productions around Ontario. Fans can also catch her vlogs on travel and other subjects on her YouTube channel, FallonBowmanTv, and listen to her monthly Deftones Album Breakdown podcast with co-host Jon Beatty (Jon’s Untitled Podcast). As for her own music, she insists that there is more to come. 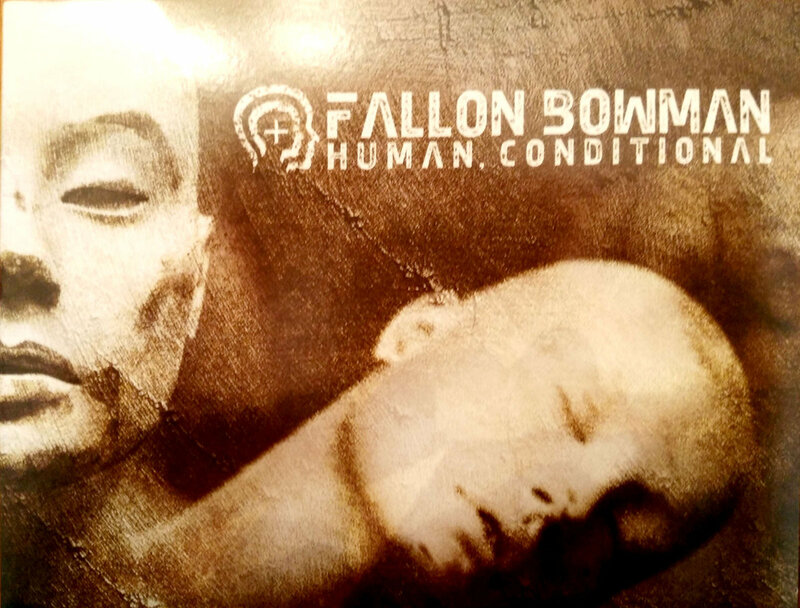 Until then, listeners are encouraged to check out Bowman’s brilliant 2011 solo album, Human, Conditional, on Bandcamp. An eclectic affair that falls somewhere between Amy Winehouse and Evanescence (and boasts an extraordinary rendition of Depeche Mode’s “In Your Room” – also covered in a much different form on District Six), Human, Conditional was initially planned as a release by Fallon and the Grace Dynasty, her then-band with The Birthday Massacre drummer Rhim. However, logistical issues prompted the album to be put out as a solo record. 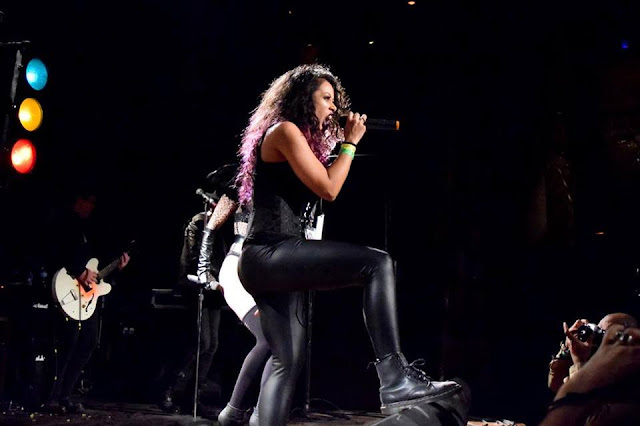 More recently, Bowman found herself re-connecting with her former Kittie bandmates for the premiere of Origins/Evolutions, the just-released documentary on the band’s 20th anniversary. Although she participated in the project’s crowdfunding efforts and was interviewed for the film, she was still very surprised by the finished product. In addition to being on hand to celebrate the film’s first official viewing, she joined the other original members of Kittie – singer/guitarist Morgan Lander, drummer Mercedes Lander and bassist Tanya Candler – on stage for a live set at an after-party at the London Music Hall in Ontario. The event also gave the guitarist a chance the experience Kittie’s post-Oracle material live when a later incarnation of the band took to the stage. With her former band celebrating their 20th year, Bowman looks back at her Kittie experience with respect for what they accomplished in the early days and admiration for her past bandmates’ ability to persevere to the point where they are now one of the last bands standing from the late-’90s Nu Metal boom.